Drapery Street design boutique reports that bold and beautiful colors are the perfect way to add personality to your space and designs from Stroheim are hitting the mark this season. “Drawing its inspiration from the gardens and chic interiors of Paris, each fabric in this Stroheim collection captures the nuance and stylish flair of the French,” says Drapery Street owner Caryn O’Sullivan. 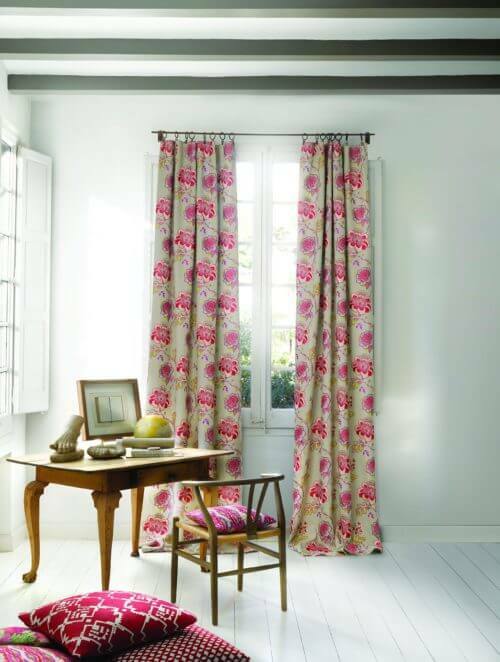 Whether you are inspired by fashion, nature, travel or art, the design offerings and expertise at Drapery Street can help you to find and create the perfect drapery and window treatments. 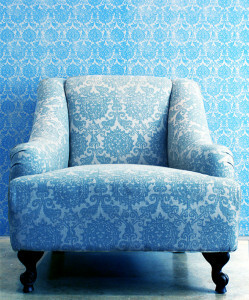 Schedule a free consultation at the Drapery Street website or visit the showroom Monday through Saturday to be inspired. 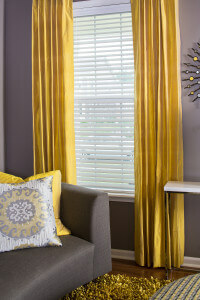 Stroheim fabrics available at Drapery Street showcase bold and beautiful color. Joined by local elected officials and business leaders today, AT&T announced the Indiana Design Center in Carmel has been certified as being AT&T Fiber Ready. This marks the first time that an Indiana location dedicated to design professionals has been deemed Fiber Ready. “Today’s designation means that this beautiful facility has been equipped with AT&T’s fiber infrastructure – that it’s in place and ready to help local artists create and businesses grow,” said AT&T Indiana President Bill Soards. 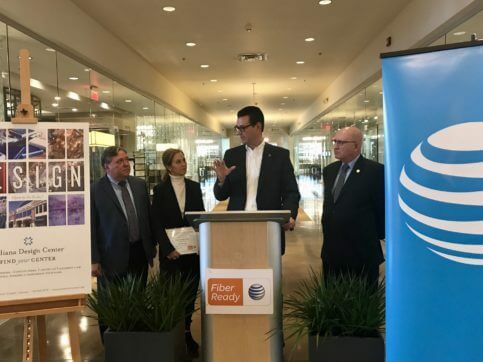 State Rep. Jerry Torr, Melissa Averitt, SVP Pedcor Cos. and Bruce Kimball, Carmel City Councilor, look on as Bill Soards, Indiana AT&T President speaks to the public at the Indiana Design Center about it being certified as AT&T Fiber Ready. In today’s world, connectivity is important to businesses of every type, including those that are involved in redecorating, remodeling or building homes. The AT&T Fiber Ready designation helps economic development leaders more effectively position their communities for site selection by emphasizing the availability of high-speed, fiber-based services. “This certification helps us clearly communicate that the city is connected, as our economic developers and community leaders work to bring new artists and businesses here and drive growth for the ones that already call Carmel home,” said State Rep. Jerry Torr. 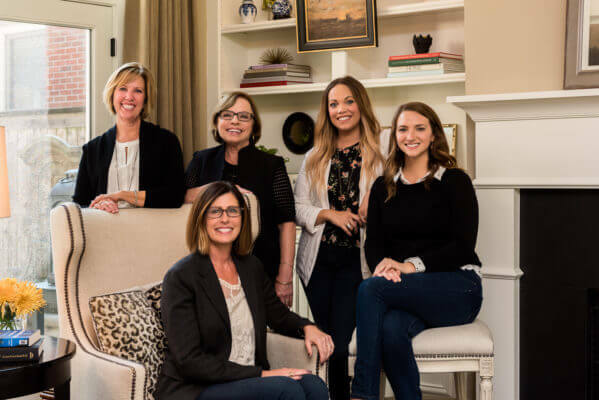 Hoskins Interior Design will continue its almost 20 years of serving the Indianapolis interior design community by passing the torch on to the next generation. Kathy Hoskins has taken over the helm of the firm from Deanna Hoskins, who is stepping back from her 40+ year distinguished career. While this transition in ownership will bring some changes to the firm, the underlying philosophy of creating beautiful custom spaces for clients remains the same. Hoskins Interior design will be participating the Holiday Hop at their new space at 1100 E 54th Street on November 10 from 5-9pm. 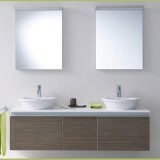 Please visit hoskinsinteriordesign.com for more information. 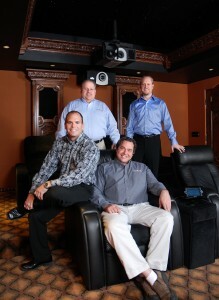 The Hoskins Interior Design team. 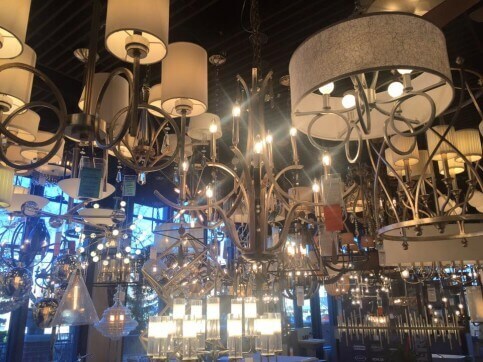 The Ferguson showroom is making way for new lighting products and fixtures for the showroom by hosting a floor model clearance sale. 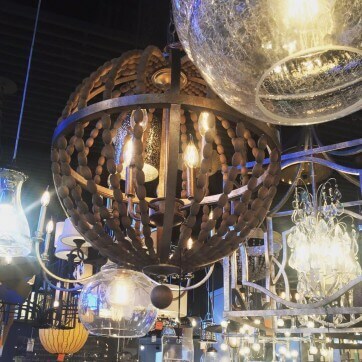 A wide variety of lighting products (chandeliers, pendants, vanity lights and more!) are marked 75% off of the list price. Stop in soon for the best selection and be sure to check back to see what new products will be showcased on the showroom floor. Happy shopping! Showroom Hours: Monday-Friday, 9 am to 5 pm; Saturday, 10 am to 5 pm. Tune into “Design Your Life. 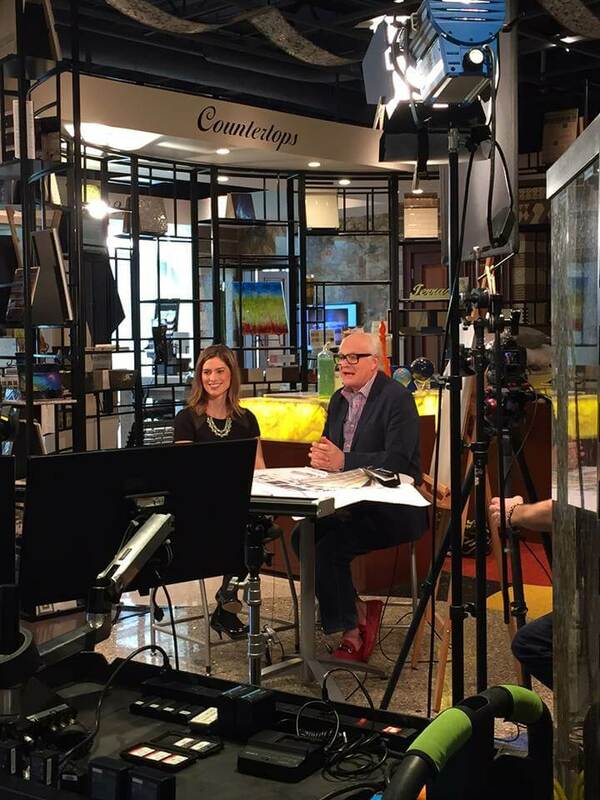 Style with Barry and Joni” this weekend to learn about the IDC from host Barry Lantz and IDC marketing director Andrea Kleymeyer. The segments were taped in the beautiful Santarossa showroom. Later in the season, Andrea and Barry will share what’s most current in the design industry and the advantages of working with a design professional. 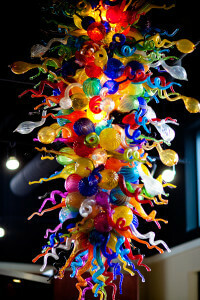 Barry’s studio, A Lantz Design & Consulting and Barry Lantz Art, are both located at the Indiana Design Center. Andrea and Barry chat about all things design! The Indiana Design Center is excited to announce a new neighbor coming to the Carmel Arts & Design District. California Closets will be located just one half block north of the IDC in the prominent Old Town Shops building at the corner of Range Line Road and Main Street in Carmel, Indiana. The approximately 2,000 square foot retail location will open in spring 2015. California Closets specializes in crafting custom home storage solutions for all rooms of the home. This will be the company’s second location in central Indiana. California Closets will join over 100 businesses in the Carmel Arts & Design District and be located steps away from the Indiana Design Center which anchors the district with over 30 home design related businesses. “We were attracted to this retail location because it’s located within an epicenter of merchants and professionals who cater to a clientele that appreciates great design. We look forward to helping new clients enhance their homes through a truly customized process,” said Charlie Meyer, President, California Closets of Indianapolis. The addition of California Closets to downtown Carmel is evidence of the Arts & Design District’s ability to attract new businesses to the city. “California Closets is a perfect fit for Carmel, a city that continues to attract new residents to a variety of diverse housing opportunities that extend beyond traditional 4-bedroom suburban homes. Carmel’s growing City Center and Midtown developments, where mixed-use and higher density developments are under construction, provides many opportunities for a company that helps consumers think creatively about the use of space,” said Carmel Mayor James Brainard. “We are very excited for California Closet to open in Old Town Shops as their reputation for excellent service and design precedes them,” said Melissa Averitt, Senior Vice President for Marketing and Sales at Pedcor Companies. California Closets crafts custom furniture and storage solutions and has been locally owned and operated in Indianapolis since 1984. 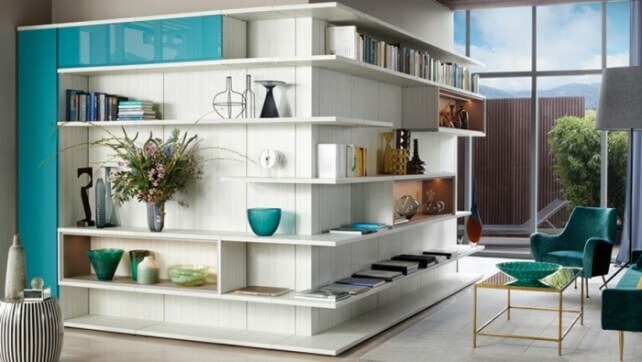 Although California Closets is the industry leader in custom closets, their design and product offering goes far beyond just the closet to include media centers, wall beds, pantries, home offices, mudrooms, garages, bookshelves, man caves, and more. Whether your style is traditional or modern, we tailor every design to your home, taste, and budget. California Closets offers professionally designed solutions for all spaces of the home that are locally manufactured and skillfully installed. Visit californiaclosets.com/indianapolis for more information. Compass Design | 212 W. 10th St, Suite B400, Indianapolis, IN 46202 | is seeking highly motivated, self-reliant thinker for Administrative /Design Assistant position. Person must be willing to take direction and be able to work independently, as well as a passion for working with people. Attention to detail and organizational skills are a must. Must have computer knowledge in the following: Microsoft Word, Microsoft Publisher, Microsoft Excel (Quickbooks, AutoCAD & 3D Rendering Programs – optional). Other responsibilities include: maintain resource and design library, product delivery, purchasing, studio services, client interaction, project management assistance, helping with special events and assisting with Ecommerce site. 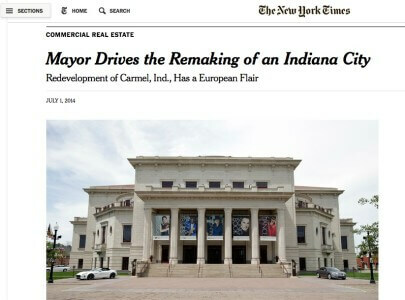 This month, The New York Times released an article noting the growth and success of Carmel, Indiana led by Mayor Brainard, as well as featuring the Indiana Design Center as the “anchor” of the Carmel Art & Design District. To read the full article, please visit The New York Times online. 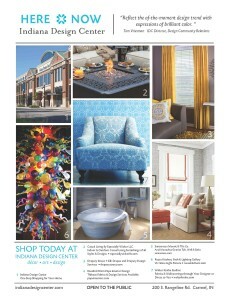 Learn what’s “Here & Now” at the Indiana Design Center in the latest issue of SHOPS from Indianapolis Monthly. You’ll find inspiration from some of the IDC’s many professionals and product showrooms and see how you can “reflect the of-the-moment design trend with expressions of brilliant color,” according to Tom Vriesman, IDC Director of Design Community Relations. All of the items and services in this feature are available through businesses that call the Indiana Design Center home. Contact us today to learn more about any of the featured items. 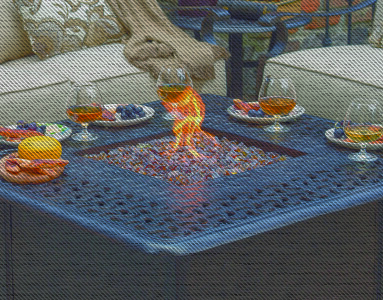 Indoor & Outdoor Casual Living Furnishings from Causal Living By Especially Wicker: Locally-owned and operated since 1987, Especially Wicker has grown from wicker-focused furniture to an all-purpose furniture store. They are a retail store featuring a design workshop along with furniture for both indoor and outdoor living spaces. Services include space planning and helping you find the best style, furniture and fabric for your home. Silk Drapes & Drapery Design from Drapery Street: Drapery Street is a design boutique that offers a beautifully curated assortment of one-of-a-kind fabrics and custom design resources. You’ll work with experienced designers who will walk you through every step of the process–from style selection to measuring to installation. This creative workshop engages you in an organized personal design process to deliver beautiful interiors that suit your unique taste and lifestyle. By focusing on design expertise, friendly and personal creative consultation and style inspiration, Drapery Street appeals to shoppers with different tastes, incomes and styles of living. 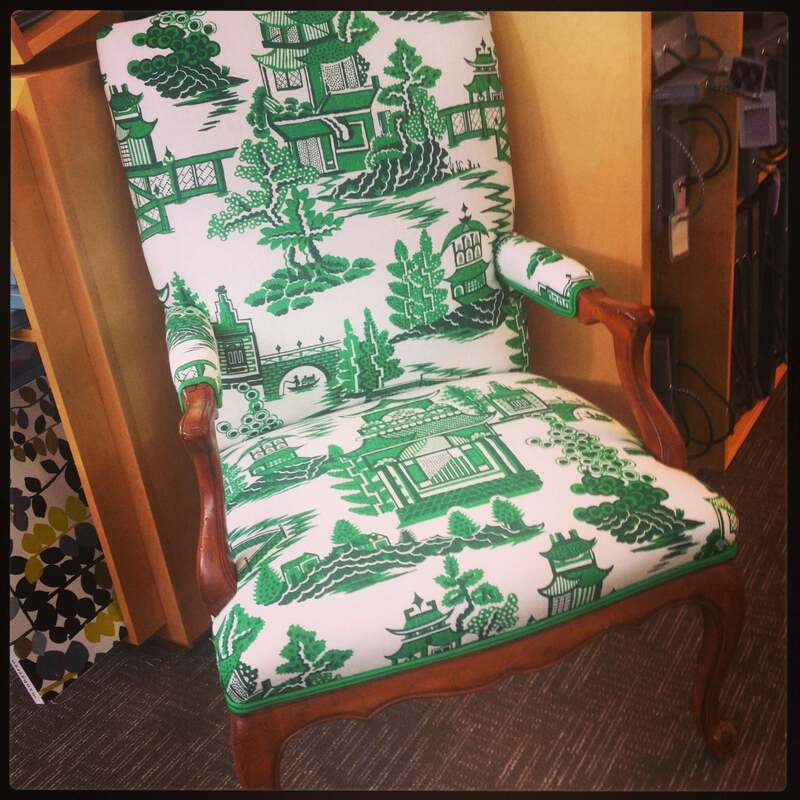 Thibaut Fabrics & Design Services available through Rosalind Brinn Pope Interior Design: Rosalind Brinn Pope, one of the resident interior designers at the Indiana Design Center, has been creating custom designs in Indiana and North Carolina for more than 20 years. She is renowned for her classic, timeless designs and focus on detail. Rosalind works with your architecture, collections and favorite furniture to create a home of comfort and grace, reflecting your lifestyle. Attention to detail is what makes Rosalind’s creations truly custom. Each and every client receives excellent service and personal attention. 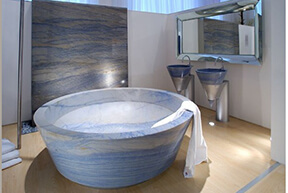 Azul Macaubus Granite Tub, Wall & Sinks available through Santarossa Mosaic & Tile Co.: The Santarossa showroom features hard surfaces, tile and stone that bring quality and natural beauty into the home. Fulfilling the interior and exterior flooring and hard surface needs for countless institutions, corporations, hospitals, retail malls, education and government buildings along with residential builders, architects, designers and homeowners, Santarossa goes to great lengths to provide you with the best finished products made from the finest quality raw materials. Through Santarossa, you get access to virtually every major domestic and foreign supplier of ceramic, stone and terrazzo in the world, as well as the most respected and established mills for carpet and other resilient materials. 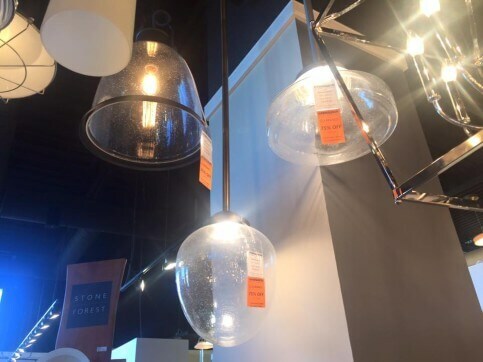 Viz Glass Light Fixture available at Reese Kitchen, Bath & Lighting Design: Now open to the public, the Reese Kitchen, Bath & Lighting Gallery caters to the residential market with everything you need to create your dream space. In addition to the state’s largest selection of custom and stock cabinetry, state-of-the-art appliances, stylishly practical counter top materials and decorative hardware, you also benefit from Reese’s specialized interior designers at no additional fee. Their work has been featured in Architectural Digest, Better Homes and Gardens, Kitchens and Baths, Log Home Living, Midwest Living, Home Planning Ideas and Indianapolis Monthly. The state-of-the-art showroom is conveniently located on the second floor of the IDC, right above the Ferguson Bath, Kitchen & Lighting Gallery showroom. Fabrics & Wallcoverings through Your Designer or Direct to You from Walter Knabe Studios: Walter Knabe Studios produces hand made fabrics and wallcoverings as well as fine art paintings and limited edition prints. 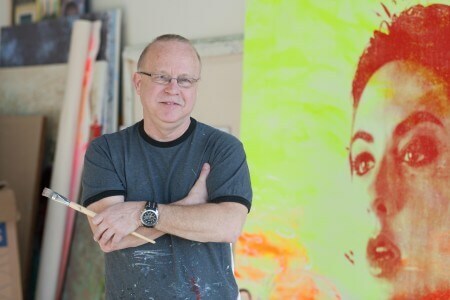 Walter first opened a studio nearly 30 years ago as a painter in New York City. His paintings quickly morphed into full-scale wallcoverings when he received a request to cover the walls of a high profile New York apartment with his heavily patterned paintings. Since then, his studio has also produced wallcoverings, fabrics and other home décor utilizing some of the same screen-printing techniques he developed while making fine art screen prints. Walter also creates hand made and licensed designs for bedding, wall coverings, stationery and national event artwork. Want to see more? Stop by the Indiana Design Center to visit the showrooms and connect with professionals who can help you with your design dilemma or project. Pantone is the leading authority on color and determines color standards for professionals who then design clothing, products, spaces and all that is influenced by color. They search carefully among the entertainment industry, traveling art, films in production, popular new artists and traveling destinations, as well as technology, sporting events and textures that impact color. 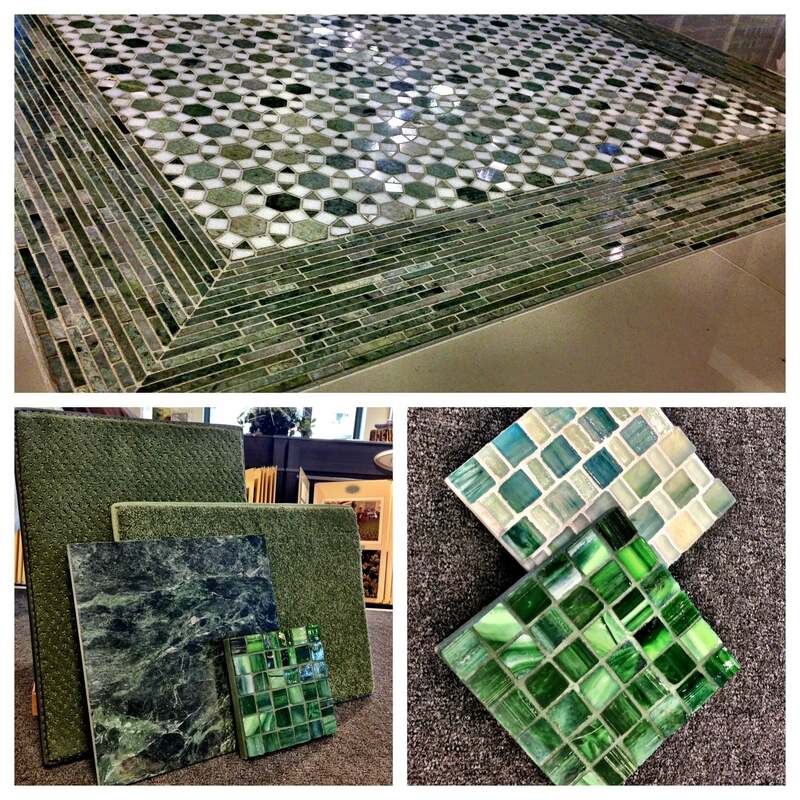 Pantone then chooses a color based on several influences and Emerald Green has been deemed the 2013 Color of the Year. “Lively. Radiant. Lush… A color of elegance and beauty that enhances our sense of well-being, balance and harmony,” is how Pantone described Emerald in a recent press release. It is the color of growth and prosperity, showing regeneration more than any other hue. It also represents unity and healing. “Green is the most abundant hue in nature – the human eye sees more green than any other color in the spectrum,” said Leatrice Eiseman, Executive Director of the Pantone Color Institute®. Check out the Editor At Large website to read their first “Design Center Spotlight” which is about the Indiana Design Center! The Editor at Large is an online publication featuring daily in-depth coverage of the interior design and home furnishings industry including news, trends, events and resources for design professionals. Primarily members of the design trade, Editor at Large readers include interior designers, architects, landscape designers, decorating editors, home furnishings manufacturers, showroom managers, PR representatives, design center staff and tenants, and members of design organizations. Check out the front page of USA Today to see Haya El Nasser’s feature article highlighting Carmel, Indiana. 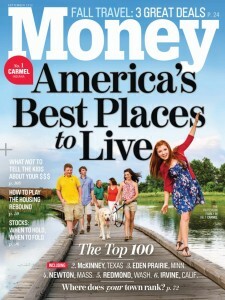 On the heels of being ranked #1 Best Places to Live by Money Magazine, Carmel is being recognized as a “small town thinking big.” The Indiana Design Center is proud to be a part of this recognition as it, too, was highlighted in the article and had the pleasure of welcoming Nasser to the facility in September. Carmel was not known as a design hub before the creation of the Arts & Design District. As Mayor Brainard was redeveloping Carmel’s Old Town core from a very neglected and run down part of town into the Arts & Design District, he intentionally added the word “design” because he knew that pairing that part of the industry with the arts world would better serve the long term economic development goals of the area. To fulfill that goal, Mayor Jim Brainard made The Indiana Design Center (IDC) part of the master plan for the redevelopment of Old Town Carmel into the Arts & Design District. 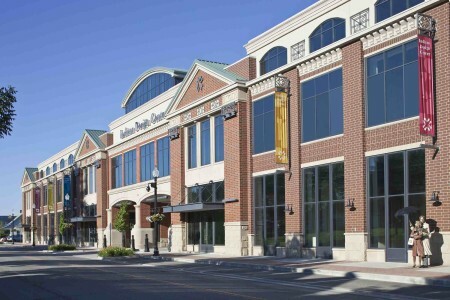 Pedcor partnered with the City of Carmel as the private developer to build and manage the IDC. Having so many of the state’s top designers, resources and artists, from diverse parts of the industry, under one roof has established IDC as the premier destination for the design industry in the Midwest and greatly increased the value of the District as a whole. The Indiana Design Center is excited to announce that it has signed a lease with Reese Kitchens, a Ferguson Company, to open a 5,000 square foot showroom on the second floor of the IDC. 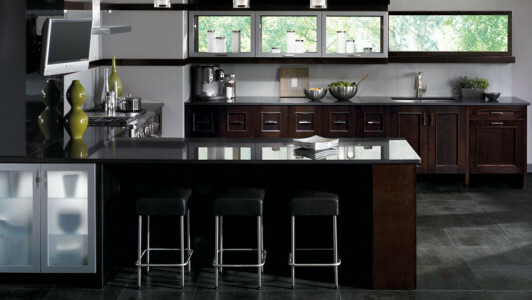 The new showroom is set to open in early 2013 and will continue the tradition of Reese’s prominent kitchen cabinetry design services that cater to the residential design market. The showroom will showcase national and custom cabinet brands like MasterBrand Cabinets and Mouser Custom Cabinetry, among others. “The Reese Kitchens name has an excellent reputation in the state of Indiana and we are proud to have the showroom join the Indiana Design Center. The forthcoming Reese Kitchen, Bath & Lighting Gallery brings the Indiana Design Center to 98% leased with only one 1,200 square foot space remaining,” said Melissa Averitt, Vice President and Director of Marketing and Sales for Pedcor Companies. 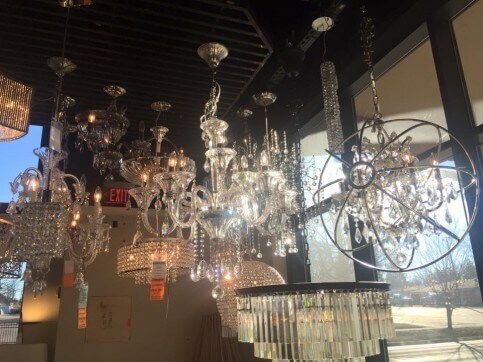 “With the addition of Reese Kitchen, Bath & Lighting Gallery, we are very excited to expand on the product and services the Indiana Design Center offers the community. It is truly a one stop-shop for homeowners, builders and designers, ” said Clark Cutshaw, Ferguson’s Residential Sales Manager for Central Indiana. The new showroom will be located on the floor above the popular Ferguson Bath, Kitchen & Lighting Gallery and be open to the public. Reese Kitchen, Bath & Lighting Gallery is a prominent cabinet designer catering to the residential remodeling market with four locations in Indiana: Broad Ripple, Greenwood, Zionsville and the newest location in the Indiana Design Center. Their work has been featured in Architectural Digest, Better Homes and Gardens, Kitchens and Baths, Log Home Living, Midwest Living, Home Planning Ideas and Indianapolis Monthly. In April 2012, the company was purchased by Ferguson, the largest wholesale distributor of residential and commercial plumbing supplies and pipe, valves and fittings in the U.S. Ferguson has sales of $9.7 billion and approximately 18,000 associates in almost 1,300 locations. So how does the Indiana Design Center fit into this equation? Carmel was not known as a design hub before the creation of the Arts & Design District to which the IDC serves as the anchor. As Mayor Brainard was redeveloping Carmel’s Old Town core from a very neglected and run down part of town into the Arts & Design District, he intentionally added the word “design” because he knew that pairing that part of the industry with the arts world would better serve the long term economic development goals of the area. To fulfill that goal, Mayor Jim Brainard made The Indiana Design Center (IDC) part of the Master Plan for the redevelopment of Old Town Carmel into the Arts & Design District. Pedcor partnered with the City of Carmel as the private developer to build and manage the IDC. Having so many of the state’s top designers, resources and artists, from diverse parts of the industry, under one roof has established IDC as the premier destination for the design industry in the Midwest and greatly increased the value of the District as a whole. 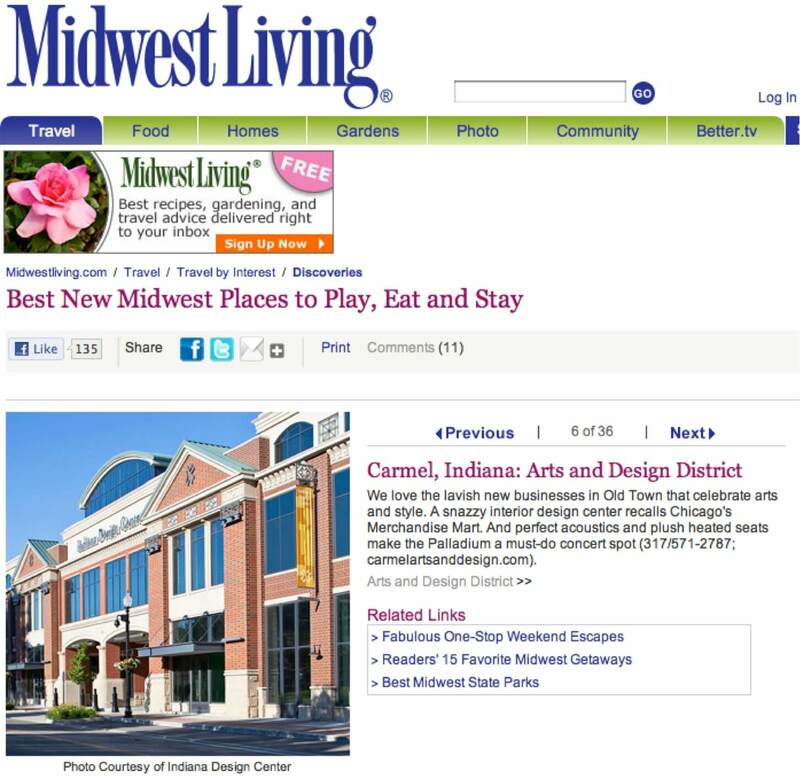 Indiana Design Center is proud to be located in downtown Carmel and serve clients and design professionals across the state of Indiana. Visit soon! The Premier Group Welcomes Terry Andreone! 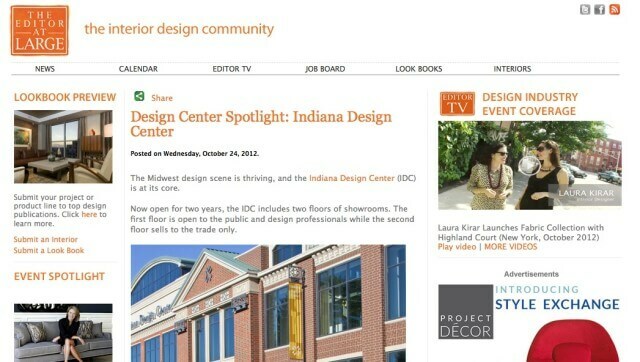 There is a new face at the Indiana Design Center! As businesses join the IDC and continue to grow, so does the list of exceptional industry professionals here to serve as a resource for the trade and public. 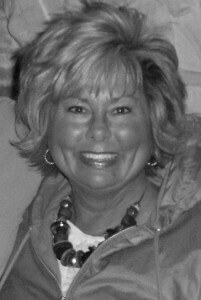 The Premier Group (Home Electronics Division) is pleased to announce the addition of Terry Andreone as their Business Development and Customer Relations Consultant. Terry brings fifteen years of Industry experience to Premier and a strong familiarity with builders, designers and architects in the Indianapolis market. “As Premier continues to grow, we are excited for Terry to join our team, helping us to generate both consumer awareness of our products and services, and to build business-to-business relationships on the local level within the areas we excel. Her upbeat personality, knowledge and professionalism will represent The Premier Group well,” states Premier’s CEO and Owner, Jason Barth. Join Terry and The Premier Group team this August at an upcoming CEU course hosted in conjunction with CEDIA. Click here for event details. For more information, visit Premier’s website at www.premier-group.com, or call The Premier Group at 317-580-1032 to speak with a home electronics expert. You may also visit their Lifestyle Showroom located inside the new Indiana Design Center, at 200 South Rangeline Road, Suite #118, Carmel, IN 46032. Product specialists are available Tuesday through Friday, 10am to 5pm, Saturday’s from 10am to 4pm, and other times by appointment. The International Interior Design Association hosted its 1st Annual Avant GARB Fashion Show as a benefit to Keep Indianapolis Beautiful. Teams presented a unique showcase of 17 different designs crafted out of commercial interior materials. Designs ranged from beautiful gowns to retro flashbacks, covering a wide variety of styles. Each team was instructed to choose an inspiration from nature to base their designs, and materials such as wood paneling, leather, metal, canvas, carpet, wall covering, vinyl flooring, chair parts and plastic bottles all made their debut on the runway at the fashion show. The hard work and creativity paid off in the competition portion of the evening, in which four teams were awarded for Sustainability, Innovation, Creativity and Best Student Design. The Most Sustainable award was presented to Indiana Design Center’s Mitsch Design, sponsored by The Mohawk Group. 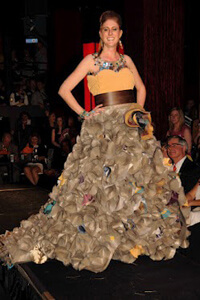 Mitsch Design created a gown with a bodice constructed of planked vinyl flooring and plush yellow carpet, crowned with a feminine sweetheart neckline. The belt was embellished with teal, yellow and purple glass tile, flowing into a skirt constructed of carpet backing made of recycled bottles. Team OfficeWorks, sponsored by Herman Miller, won the Most Innovative award for a gown using a discarded Aeron Chair back that was repurposed for the use of the gown. The Most Creative award went to Team bohemedesign, sponsored by DesignTex. The design utilized natural materials including wood, leather and feathers, as well as wallcovering, recycled polyester and yarns made from used soda and water bottles. Finally, the Best Student Design award was given to Team The Art Institute of Indianapolis, sponsored by MDC Wallcoverings. The team created a garment using a non-PVC line of wallcovering with a backing made from recycled bottles. Mitsch Design is located at Indiana Design Center and proudly has their award winning dress on display. Stop by to see the design for yourself. Congrats, Mitsch Design! Duravit’s newest innovative full suite series, Darling New, is the evolution of a popular Duravit range that promotes “lots of design for little money.” Darling New is modern yet classic, providing elegance, individuality, versatility and affordability all at once. 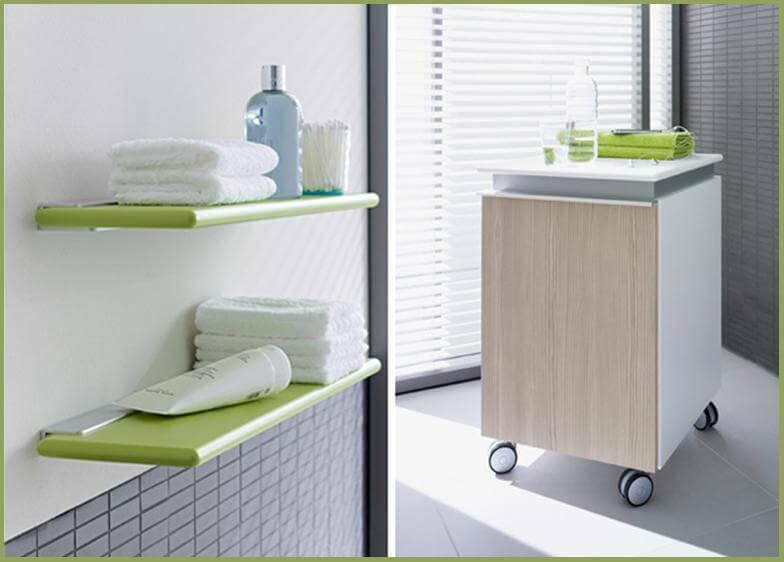 The full suite series includes all features that a bathroom would require, including washbasins, bidets, toilets, urinals and bath/whirltubs as well as bathroom furniture including shelves, cabinets and a mobile storage unit. 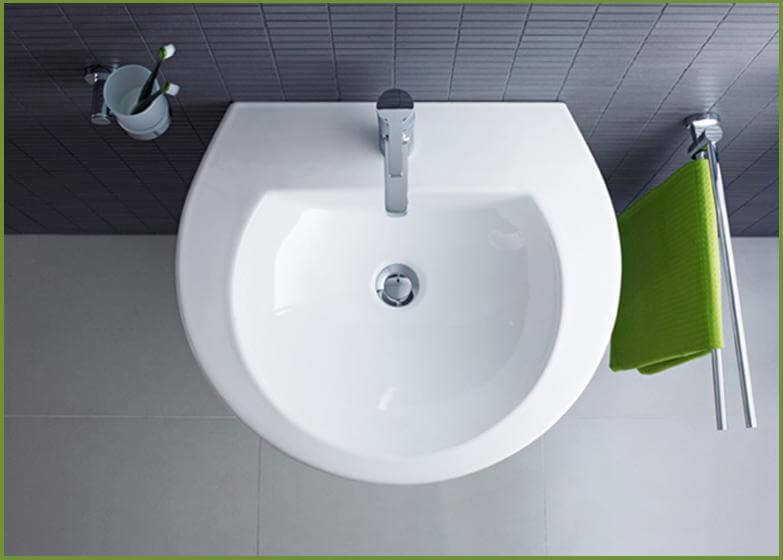 Additionally, the circular rims on washbasins and bathtubs can be accentuated with soft LED lighting, creating a feeling of warmth and comfort throughout the bathroom. Darling New’s website also features a Style Guide which allows you to customize your ideal bathroom on screen, from washbasin style and front colors to furniture style and size. 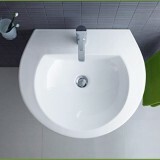 Duravit products are available through Ferguson Bath, Kitchen & Lighting Gallery located at Indiana Design Center. 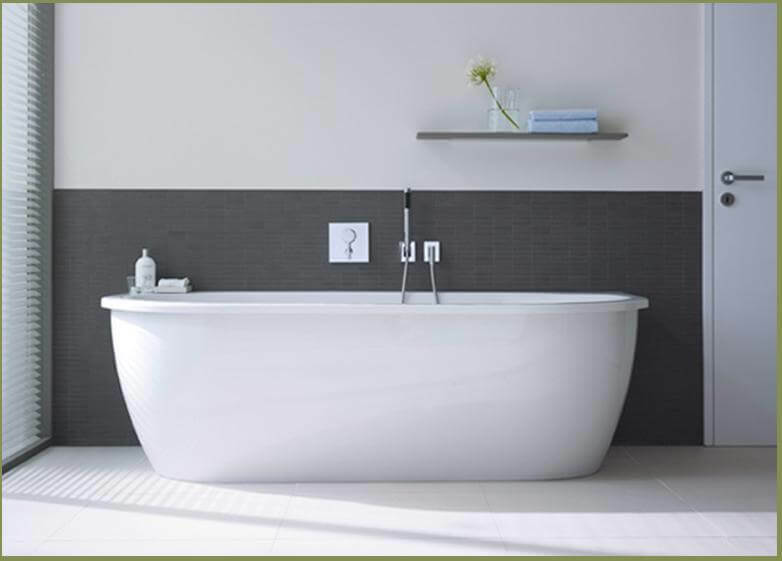 Design, price, versatility: Darling New has everything that a complete, modern bathroom needs. With individual washbasin solutions, individual furniture fronts and a broad selection, from toilet to whirlpool, Darling New is always the ideal choice in any contemporary setting, from the tiniest guest bathroom to the grandest luxury hotel. The Royal Gallery of Rugs can help you create a custom order to suit your personal taste in rugs. The Indiana Design Center is excited to announce that Royal Gallery of Rugs Inc has opened a 2,000 square foot retail showroom on the first floor of the IDC building. The new showroom caters to both retail customers and design professionals. Royal Gallery of Rugs features rugs from an array of countries like Egypt, Turkey and Tibet, with sizes ranging from two by three feet to palace-size rugs. Visitors can expect to find a varied selection of styles to please all tastes and budgets whether looking for an Oriental, Persian or contemporary style rug. Custom orders can be accommodated for many rug styles and all rugs can be shipped or delivered within the state of Indiana. Other services include rug repairs, cleaning and restoration. 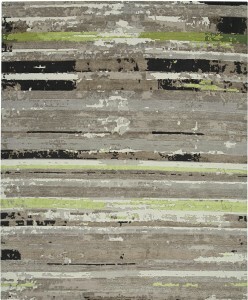 Tamarian "Billboard Trek" Rug available through Royal Gallery of Rugs. David Farahan, a fourth-generation owner in the family-owned business, expressed his excitement about the new showroom. “Our new Royal Gallery of Rugs location carries rug styles unlike anything else one can find in the market. We know the Indiana Design Center will be a great home for our business, and we are excited to engage with new and existing customers who visit us here,” said Farahan. “Royal Gallery of Rugs is a strong addition to the tenant mix at Indiana Design Center and brings with it an extensive collection of high-quality rugs. I know that both design professionals and the public will love their unique offerings,” said Melissa Averitt, Vice President and Director of Marketing and Sales for Pedcor Companies. Royal Gallery of Rugs is located in Suite 113 of Indiana Design Center and is open Monday through Friday 10 am to 6 pm and Saturday 10 am to 5 pm. Royal Gallery of Rugs, “Where Trust is a Tradition,” has been family owned since 1888. 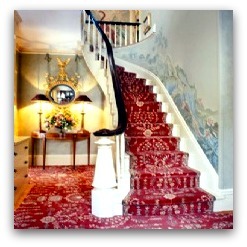 They have provided the finest quality of luxurious, elegant and one of kind rugs for four generations. As a Certified member of ORRA (Oriental Rug Retailers of America, Inc.), they inspire confidence and professionalism to their clientele for services such as Certified ORRA Appraisals, Professional Restoration, Cleaning, Buying, Selling or Trading. ORRA is a non-profit organization which ensures high standards and ethical practices to the business of Buying, Selling, Trading and Appraising Oriental rugs. Services include demonstration, custom rugs, professional cleaning, professional restoration, certified ORRA appraisals, shipping, and financing. 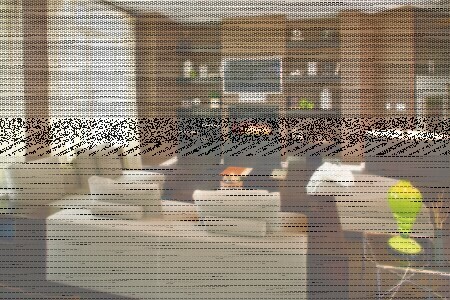 For more information visit www.royalgalleryrug.com. Wednesday night was an exciting evening as the Super Bowl Host Committee unveiled the official Super Bowl XLVI welcome poster at the Indianapolis Conrad which was designed by Walter Knabe. Knabe was chosen to design the poster over several other Indiana artists by The Cultural and Arts Programs committee of the Host Committee. Knabe’s studio is located at Indiana Design Center and he is internationally known for his fine art, fabrics and wall coverings and his client list includes Michael Jordan, Richard Gere and Madonna. 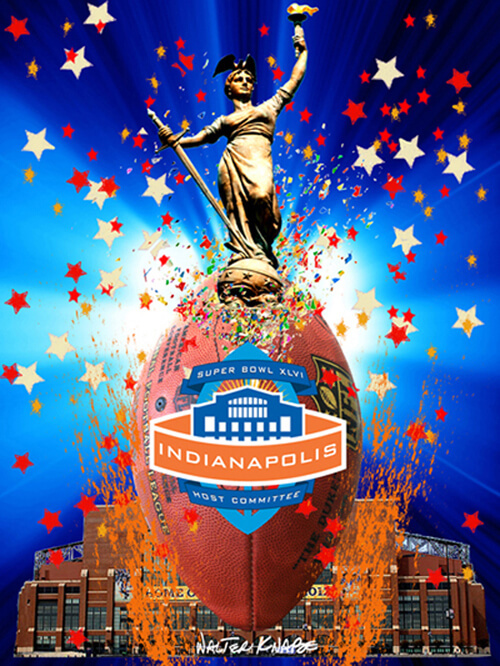 True to Knabe’s dynamic artistic style, the poster includes Lady Victory from the Soldiers and Sailors Monument alongside Lucas Oil Stadium, the Host Committee logo and an official NFL football. 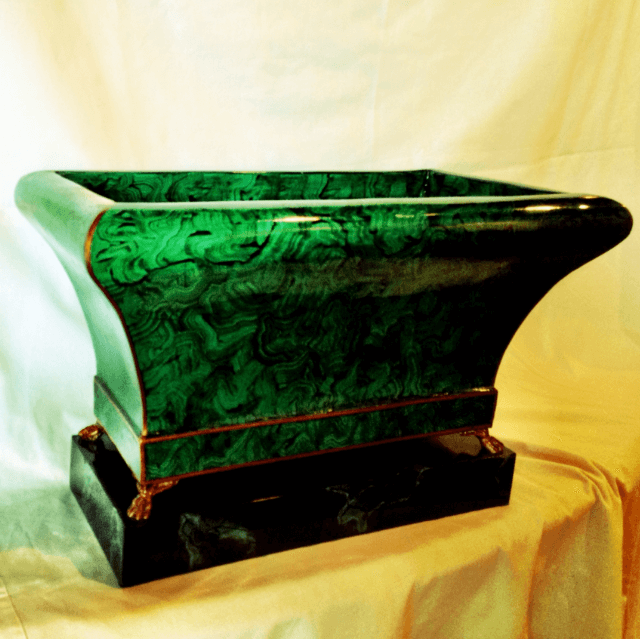 Knabe is no stranger to creating commemorative pieces. In 2010, he was the first Indiana artist selected as the Official “500 Artist” for the Indianapolis 500 which included several manifestations of his 2010 painting that is now part of the IMS’ permanent art collection. There are a number of hardware lines that offer style and quality to customers in Indiana but each is unique in it’s philosophy, history and design aesthetic. Popular on the West and East Coast, Sun Valley Bronze is now available in Indiana and exclusively available through Winner Hardware Specialties in Indianapolis. Based in Hailey, Idaho, Sun Valley Bronze produces hand-crafted and hand-finished solid bronze door, kitchen, bath and cabinet hardware. The bronze material offers an element of antiquity while the modern technology promises quality along with the choice of a contemporary look. The styles pictured below are among the latest designs to be introduced to the market. 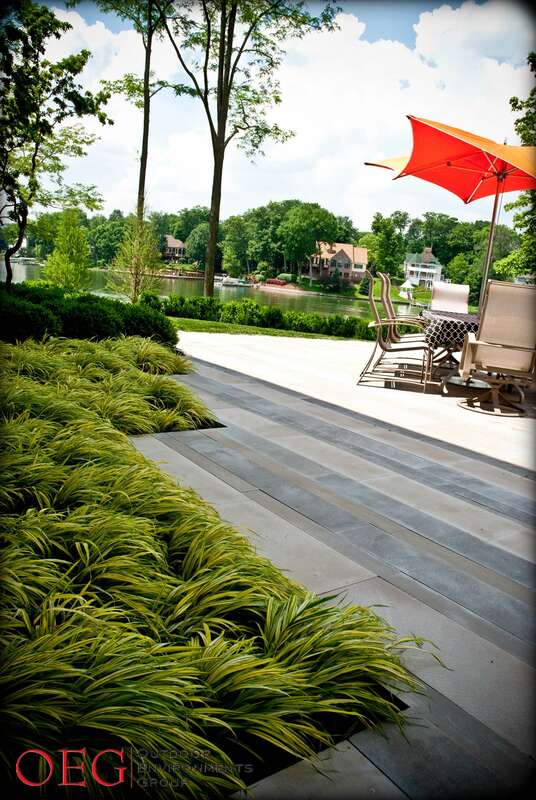 What’s evident in Sun Valley Bronze’s philosophy is it’s commitment to the environment. The products allow for LEED materials and resources credits and are made from 90-95% post consumer bronze. Another factor green-conscious customers often consider is where a product is being manufactured and delivered from – across the globe vs. within the U.S. (SVB is manufactured in Idaho). The full Green Statement can be viewed in a short video by clicking here. To learn more about Sun Valley Bronze and see product samples, contact Winner Hardware Specialties. The Winner Hardware showroom is located at 4340 W. 96th St., Suite 104 in Indianapolis. Winner Hardware also has a product display located on the second floor of the Indiana Design Center. The contemporary 900 Series Gate Latch pictured has a hidden cam in the slide bar. Made from white bronze with a dark grey/black patina finish (W3). 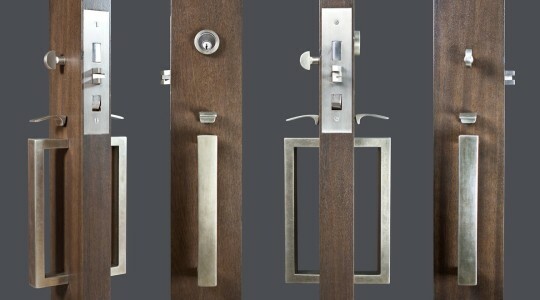 Also contemporary in style, the 905 Series Gate Latch features an exposed cam. Finish is satin white bronze (W1). 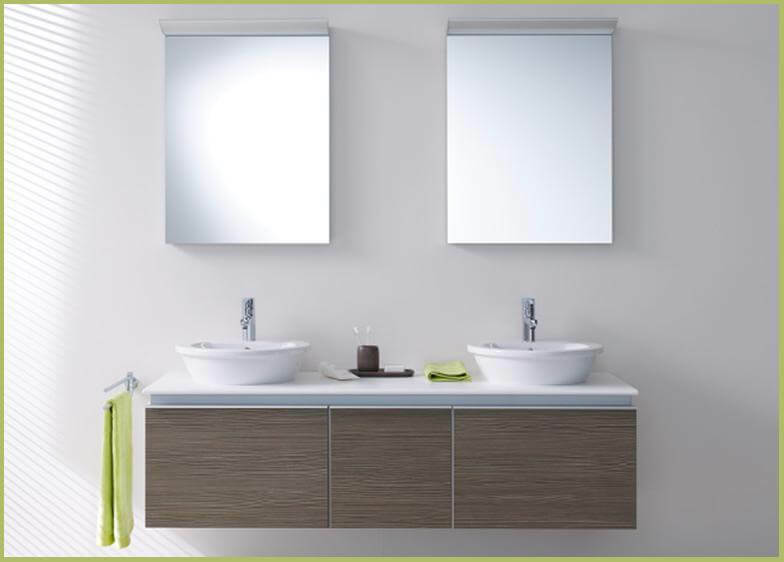 The innovative 2000 Series entry set offers minimalist styling for the home. This set is designed to function without an escutcheon plate, allowing the grip handle, cylinder and thumb piece to mount directly to the door. The Indiana Design Center is excited to welcome The Premier Group to the IDC. The Premier Group is an Indiana business committed to integrating technology and design for ease-of-use in everyday life. They will open the Premier Experience showroom on the first floor of the Design Center on Saturday, October 1. The 1,600 square-foot showroom, open to the public, features engaging Home Entertainment Solutions to enhance any lifestyle and simplify complex technology for everyday use, including home theater and surround sound systems, distributed video, and home music systems. Also on display are solutions ranging from controlled lighting and shades to climate control, security systems, camera surveillance, wired and wireless networks, and other home automation options. Premier Product Specialists are on-site to provide the professional knowledge and support necessary to meet the needs of a wide variety of projects and budgets. A Premier Design Team is also be available to collaborate with design trade professionals for larger scale or for more complex projects. Founded by three DePauw University graduates in 1999, The Premier Group is dedicated to its Indiana roots. While the business has grown to be ranked nationally, the owners never fail to attribute their success to a knowledgeable staff, great customer service and a dedication to quality. View The Premier Group’s previous work below. For more information about Premier, visit their website at http://www.premier-group.com. All are welcome! 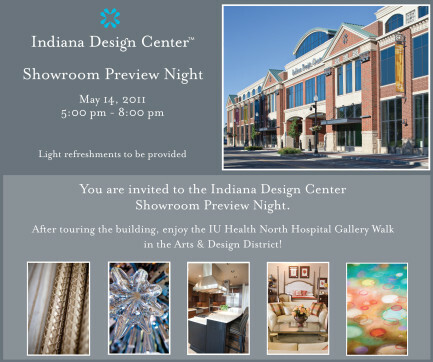 We cordially invite you to visit the Indiana Design Center on May 14 from 5 pm – 8 pm for a first floor showroom preview night. Discover a mix of art and design at the IDC as recently opened 1st floor retail showrooms welcome you, fine artist April Willy has work on display and the Eckert-Wright Art & Design gallery celebrates their opening. This evening is coupled with the IU Health North Hospital Arts & Design District Gallery Walk and we encourage you to enjoy an evening in the district! The gallery walk runs from 5 pm – 10 pm. Please contact the IDC concierge with questions: [email protected] or 317-569-5975. Jack Laurie Home Floor Designs Opening at the IDC! 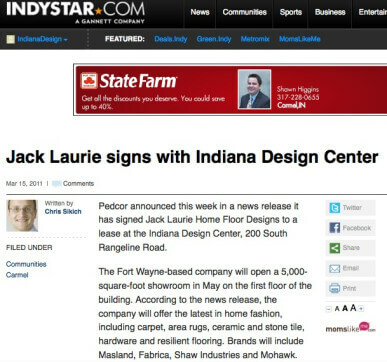 We are very excited to officially announce that Jack Laurie Home Floor Designs will soon occupy an approximately 5,000-square-foot retail showroom on the first level of the Indiana Design Center! The new Jack Laurie Home Floor Designs location is set to open in May 2011 and will be dedicated to the latest in home fashion, offering carpet, area rugs, ceramic and stone tile, hardwood flooring and resilient flooring. Visitors to the showroom will find leading brands like Masland, Fabrica, Shaw Industries and Mohawk as well as a tile and hardwood galleries with leading brands and products from around the world. “Jack Laurie Home Floor Designs is part of Jack Laurie Group, which has been installing and maintaining flooring throughout Indiana since 1950 and will join several other family-owned and Indiana-based businesses like Santarossa, Holder Mattress Company and Outré located at the Indiana Design Center,” said Melissa Averitt, Vice President and Director of Marketing and Sales for Pedcor Companies. 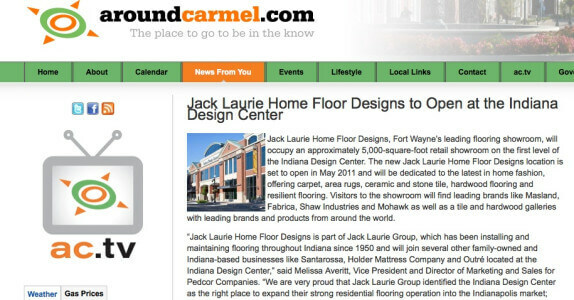 “We are very proud that Jack Laurie Group identified the Indiana Design Center as the right place to expand their strong residential flooring operation into the Indianapolis market; their breadth of product, well-trained and experienced staff, and vested interest in Indiana’s design community create a perfect fit for the Indiana Design Center,” said Averitt. Click on the press item links below for additional coverage. If you pick up the February issue of Midwest Living, you’ll see a handful of Indianapolis-area destinations that were featured as “Best New Midwest Places to Play, Eat and Stay”. Attractions included the Carmel Arts & Design District which featured the Indiana Design Center and neighboring Palladium. Also topping the list: IMA’s 100 Acres art and nature park, “SoBro’s” Recess and downtown’s JW Marriott. Visit the site to see who else made the list and, most importantly, get out and experience them for yourself!